Advantus Corporation-Idea Ology Mini Mason Jars. 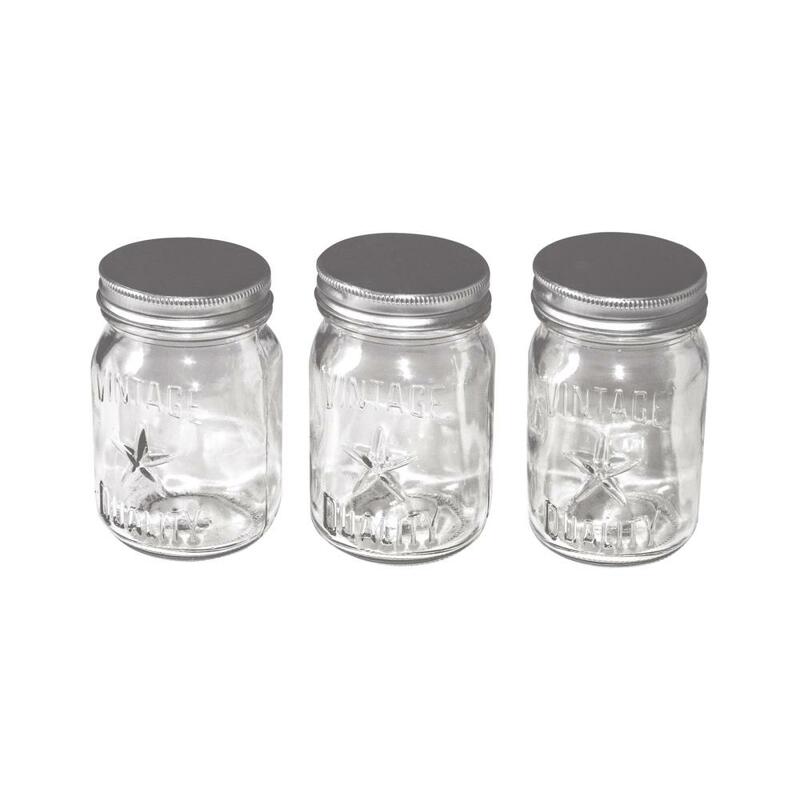 These nostalgic mini Mason jars are great for small items. The lids screw on the keep items contained. 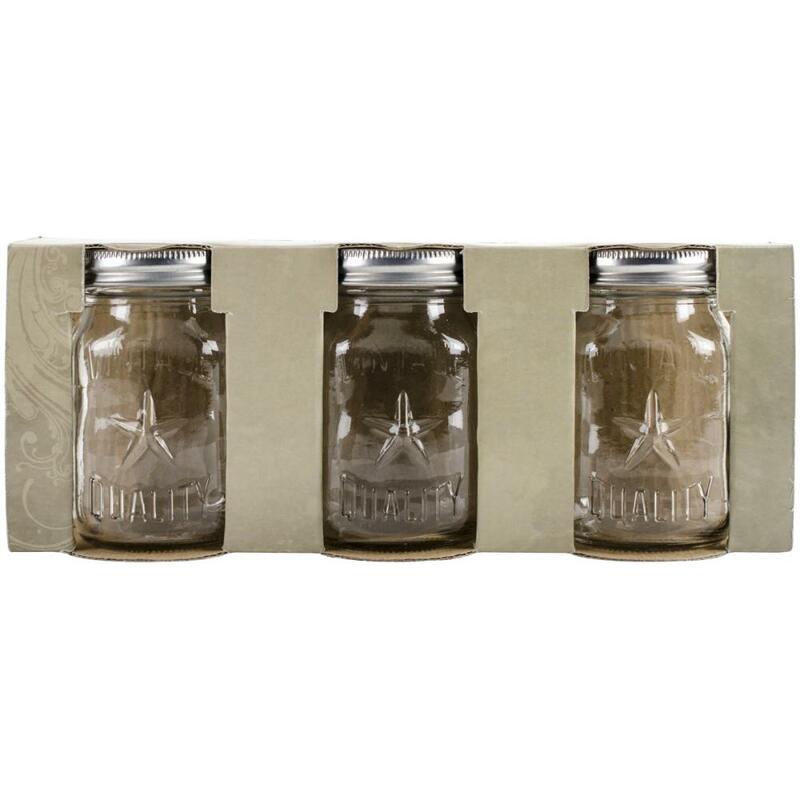 This 9-3/4x2-1/2x3-3/4 inch package contains three 4x2-1/4x2-1/4 inch mini mason jars.